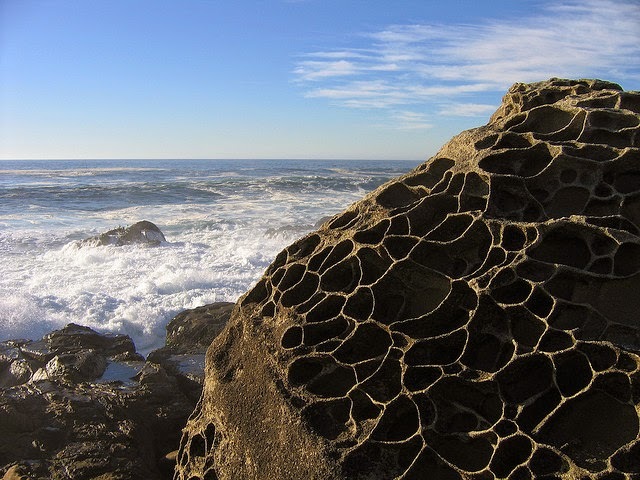 Tafoni – you may not have heard the term but the chance are, if you have visited an ocean shore, (or less likely a desert!) that you have seen them with your own eyes. Essentially they are caves (mostly in miniature) and their formation can often result in beautiful patterns. Yet why are they formed in the first place?